Your premier real estate company serving all of Florida's Treasure Coast, we specialize in waterfront, residential, golf course communities, and commercial properties. 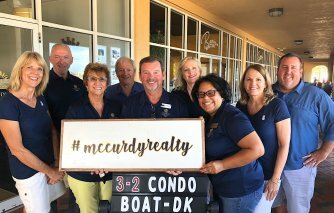 Located along the waterfront in Fort Pierce, and serving the entire Treasure Coast, McCurdy & Co. Realty offers a team of experienced and committed agents to serve all of your real estate needs. With 30+ years of experience helping clients buy and sell real estate, we strive to offer the ultimate in service to our customers. McCurdy & Co. Realty specializes in waterfront properties, residential, commercial and land. Call today or stop by and let McCurdy & Co. Realty show you the possibilities! Our vision in opening the McCurdy & Co., the first real estate office in the growing downtown Fort Pierce area, was to facilitate growth and generate interest in the beautiful communities of Fort Pierce and Port St. Lucie. We stay involved in both towns and participate in numerous events and organizations that contribute to their successful development. Our company participates in and invests in community charities such as: volunteering for the Lion’s Club half-marathon to benefit local charities, supporting the March of Dimes, and giving to food drives and Christmas charities for children and families in need in our community who need the gift of hope and joy.